Last month, Wynn Nightlife in Las Vegas presented a strictly house and techno equipped weekend series so successful that they have eagerly announced the return of Art of The Wild this upcoming March. The event debut received such a tremendous amount of overwhelming demand that the curators behind it all just had to bring it back as soon as they possibly could. Next year’s Art of The Wild will feature a three-day full music experience at The Wynn’s exclusively renowned venues including XS Nightclub, Encore Beach Club, and Intrigue from March 22nd through the 24th. Just during the beginning of prime festival season, Wynn Nightlife couldn’t have picked a better time to conduct the second installment of the popular Art of The Wild event series. Strictly focusing on those underground house and techno sounds from some of the most notable artists within these electronic genres, Art of The Wild is incomparable to any other event going on in Las Vegas during the same weekend. Last month’s event featured artists like Fisher, Black Coffee, Claptone, Jamie Jones, Patrick Topping, Nicole Moudaber, Rüfüs Du Sol, and many others. This time around, the festival will once again feature a fully curated lineup with one-of-a-kind artists from all over the world, ones unlike those typically featured to headline Vegas’s many other prestigious nightclubs and party venues. With Wynn Nightlife ruling these award-winning venues at the Wynn Las Vegas where Art of The Wild will be returning once again, we’re certain it’s comeback will be nothing short of legendary. Managing Partner of Wynn Nightlife Alex Cordova has expressed his excitement to bring this event to life a second time around next spring, this time even more remarkable than ever. 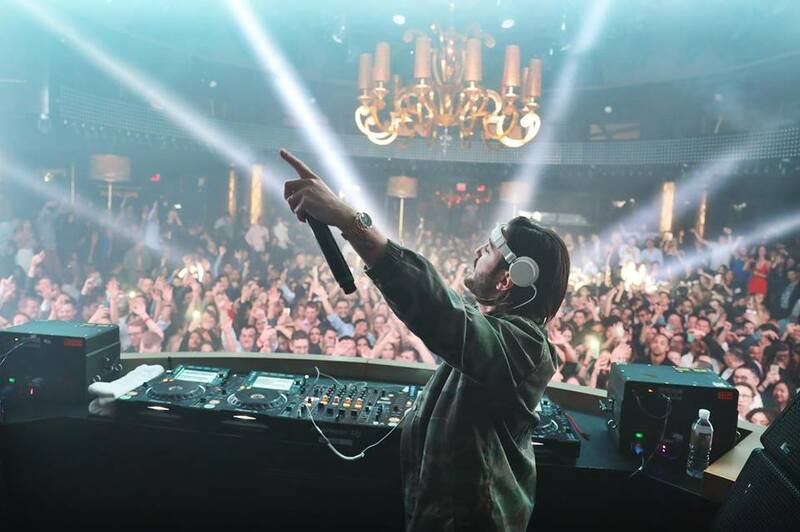 Wynn Nightlife is fully committed to bringing this unique and high in demand sound and music style to the Las Vegas community and is thrilled to witness yet another successful turnout. Tickets for Art of The Wild are available now on Wynn Nightlife’s Social page, make sure you don’t miss out. For additional information please visit http://www.wynnsocial.com/artofthewild. For table reservations and additional information, please visit wynnnightlife.com. Photos courtesy of Wynn Nightlife Facebook.